Where Race and Sports Intersect: What is the media’s role? by Jenna Ross on January 8, 2018 in News with Comments Off on Where Race and Sports Intersect: What is the media’s role? Race and sports have long crossed paths — from Muhammad Ali being stripped of the heavyweight boxing title after taking a stand against the Vietnam War to players’ “Hands Up Don’t Shoot” protests following the death of Michael Brown. Today, numerous athletes have protested by kneeling during the national anthem, attracting support and opposition from all corners of America. 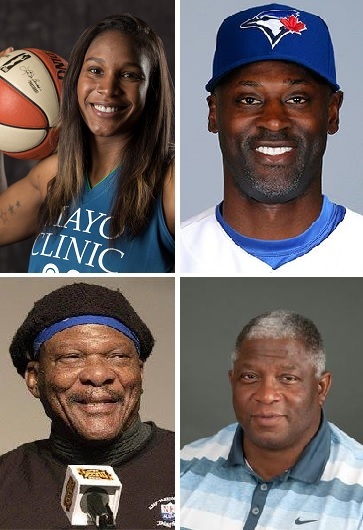 As Minnesota prepares to host the Super Bowl, the country’s biggest sporting event, the Twin Cities Black Journalists chapter of the National Association of Black Journalists and the Minnesota Society of Professional Journalists, along with the University of Minnesota’s Minnesota Journalism Center, will host a panel of local sports journalists and athletes to discuss how race, culture and sports have intersected and should be covered by the news media. They’ll discuss questions such as: Should athletes use their platform for social activism or does doing so create a larger distraction for their employers and fans? What is the newsworthiness of covering sports-related protests as opposed to just the games themselves? Is it possible or prudent for journalists to remain unbiased when it comes to race relations? This event is free. Register here. And let us know you’re coming on Facebook.